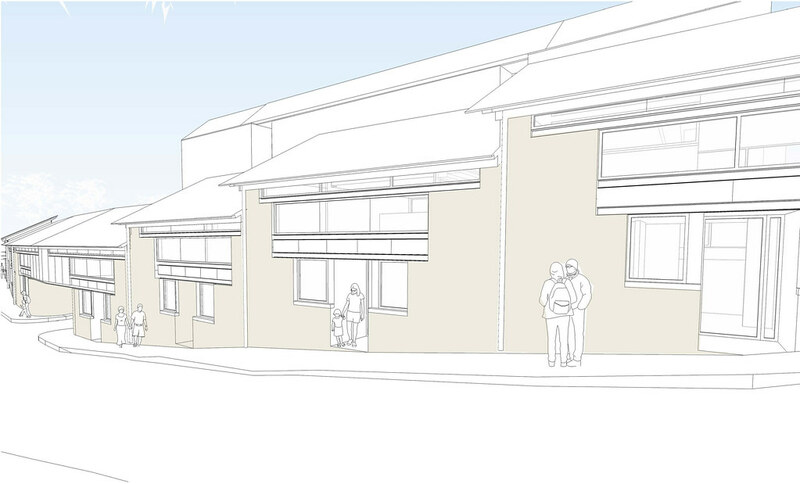 Lowther Homes - which is part of Wheatley Group - has commissioned us to design a small residential development of Mews houses on a site on Redlands Lane, to the rear of Great Western Road in the West End of Glasgow. The proposed site lies within the Glasgow West Conservation Area. Redlands Lane itself runs parallel to the main arterial Great Western Road that was constructed in 1840 and pushed development of Glasgow out from the city centre, westward into what was then open countryside with both terraced and villa accommodation. 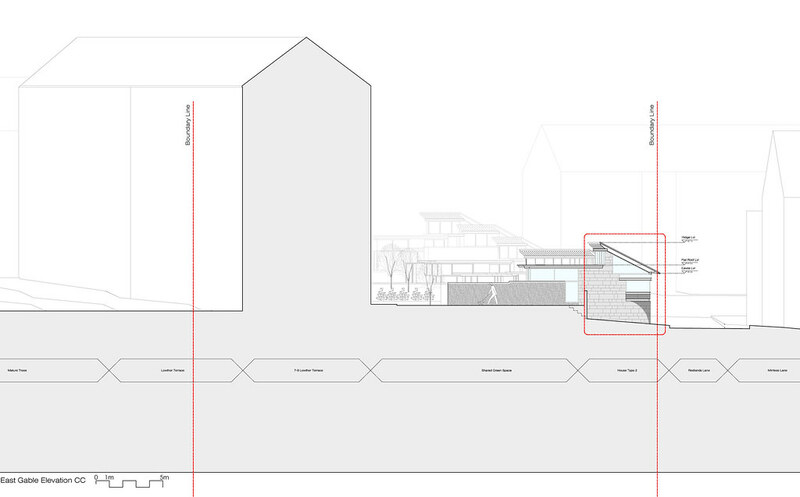 The site consists of a narrow strip of land bounded to the North by a low masonry retaining wall that forms the rear of the existing pavement to the Lane and extends up a grassy incline into an existing hardstanding area, currently providing open and lockup garage parking to the rear of a five-storey residential block facing Lowther Terrace. 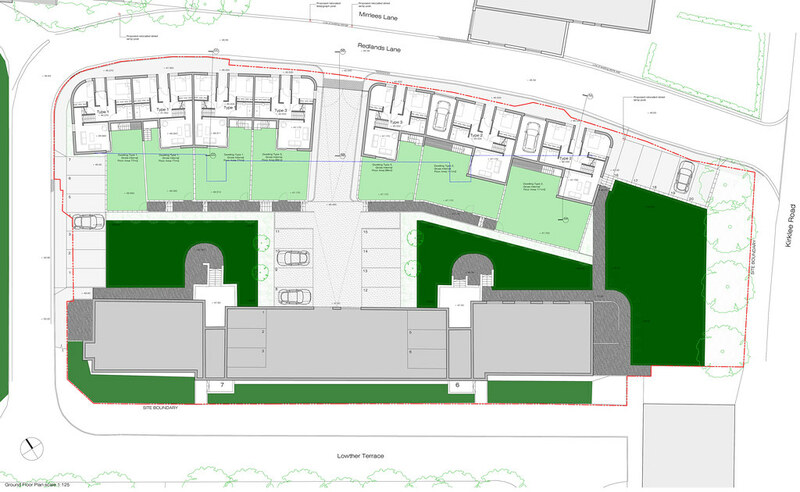 The site, together with the existing residential block is all in the ownership of Lowther Homes. The project proposes the construction of a new, Mews style development of seven two and three-bedroom terrace houses each with a private garden to the rear. 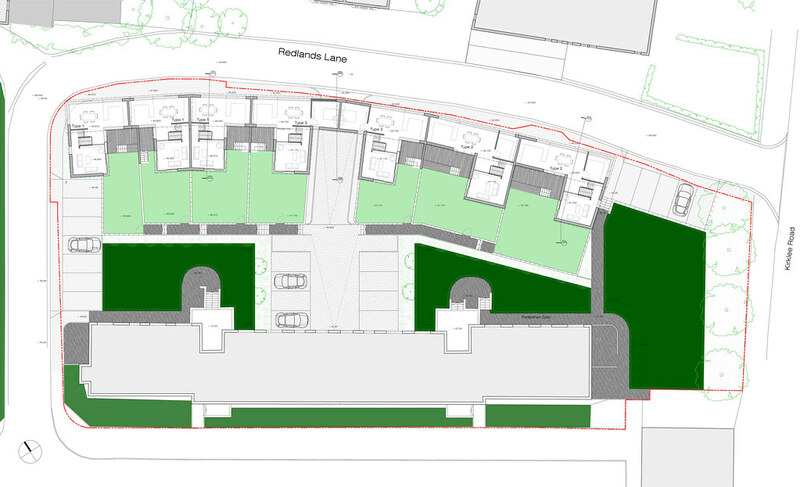 The properties are accessed off Redlands Lane, with a new private road and new off street parking for both the Mews development and the existing flats on Lowther Terrace. Each unit is conceived as an upside down house with the bedrooms at street level whilst the living and kitchen accommodation occupy the upper, split levels and take advantage of both the increased internal height afforded by the monopitch roof design as well as a direct connection to the level of the private gardens. 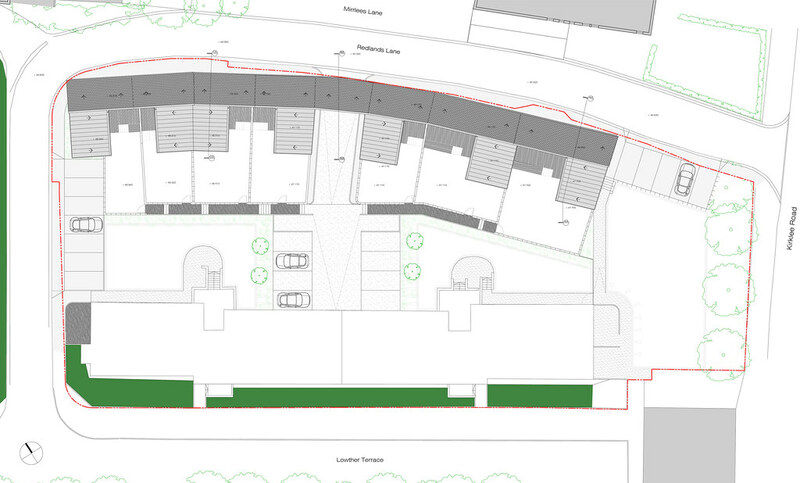 The remaining shared green space to the Lowther Terrace block is also to be re-landscaped to provide communal amenity space and visual privacy between the two. In recreating an inhabited and active street, from what is effectively a featureless back alley, it is hoped the development will provide a more secure local environment as well as one of appropriate scale and material to the surrounding area.